Amber and her mother, Sandi, have worked together since Amber was 16. They had owned several businesses together over the years, and were looking for something that just sounded like fun! After seeing Wicked Good Cupcakes on Shark Tank, Amber ordered them for her husband's birthday... and she was instantly hooked, and entrepreneurial spirit kicked in! Although it was 1:00 am....she called her mom to tell her she had found the "fun" business they had been looking for!! 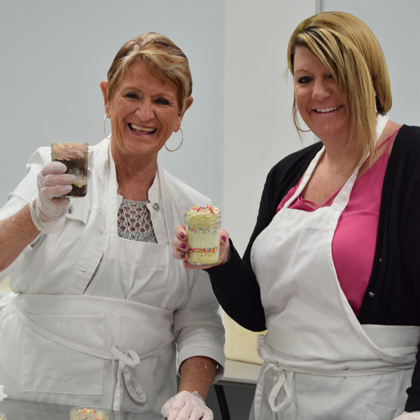 Amber and Sandi now proudly serve the Fort Wayne, IN and Fort Meyers, FL areas offering Wicked Good Cupcakes. Can't get to our truck or looking to ship an order? Follow us on Facebook to find out where we'll be next!